The President of India, Shri Pranab Mukherjee opened the 47th Conference of Governors at Rashtrapati Bhavan today (February 9, 2016). The Conference is being attended by Twenty-three Governors and Two Lt. Governors of the States and Union Territories. In his opening address at the Conference, the President said our nation has grown from strength to strength since independence. It is primarily due to our steadfast adherence to the principles enshrined in our Constitution. It is an enduring document that reflects our aspirations and the avenues to achieve them, in an inclusive manner. It is incumbent on us all who hold constitutional positions to maintain the sanctity of this sacred text. The President said 2015 was a difficult year. We faced challenges from the global economic slowdown, climatic changes, and internal and external security. States having international borders were affected by terrorist attacks that had clear external linkages. Volatile external security environment makes it incumbent on us to upgrade our defence capabilities. At the same time, we have to continue our efforts at resolving all outstanding international issues through peaceful dialogue and negotiations. 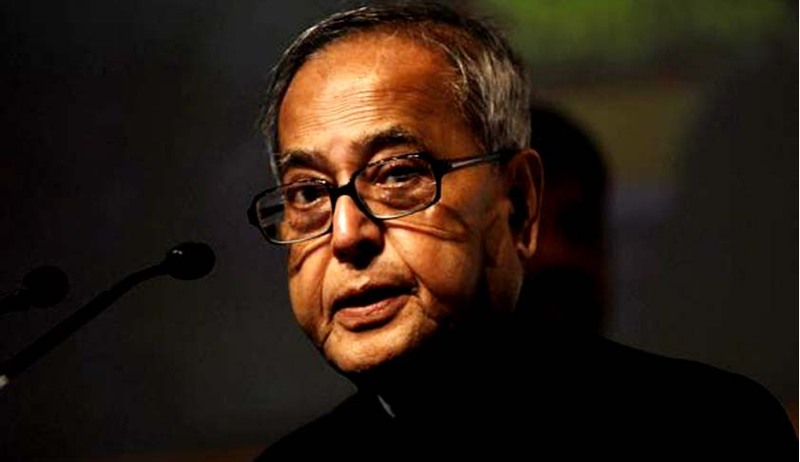 The President said India is suffering the worst effects of drought with two consecutive deficient monsoons. Another dry spell is likely to impact agricultural production further. Farmer distress has to be addressed on a war-footing. The newly-launched Pradhan Mantri Fasal Bima Yojana aims at providing effective risk cover to farmers using technology. This and other measures to provide relief to farmers should receive top priority. To develop climate resilience, we must task our agricultural research institutions to develop drought-proof varieties of food grains and other food commodities. The President said for successful implementation of Government’s schemes like Make-in-India, Start-up India, Smart City Mission and Swachh Bharat Mission, these have to run in close partnership with state governments. As the constitutional heads of their respective states, Governors can play an inspirational role to ensure their active cooperation. The President said there are over 320 state public universities and over 140 state private universities. Governors can also play a persuasive role in improving the quality of education in these institutions. The President said citizens of this country have a right to lead a healthy, happy and productive life. This right appears to have been breached by the distressing pollution levels in our cities. Mitigation of the dangers to environment calls for holistic changes whose permanence can only be ensured if people become active participants. Governors can play a catalyzing role in such efforts. The President said with 2015 declared as the warmest year ever in recorded history, climate change has moved centre-stage in policy formulation. Its ill-effects are visible in the abnormal behaviour of nature in recent times. The unprecedented floods that submerged Chennai in December last year resulted in untold human suffering and economic loss. We must make our disaster management systems more scientific and keep them in a state of preparedness to minimize damage and provide relief when nature’s fury strikes. Dignitaries participating in the inaugural session of the Conference included the Vice President; Prime Minister; Union Ministers of Home Affairs, External Affairs, Minister of State (I/C) of Development of North Eastern Region and Vice Chairman, NITI Aayog. During the course of the Conference, Union Ministers for Finance, Urban Development, Defence, Human Resource Development; Minister of State (I/C) of Ministry of Labour and Employment, Minister of State (I/C) of Skill Development and Entrepreneurship, Minister of State (I/C) Commerce and Industry are also expected to address the Governors. The agenda for the two-day Conference of Governors includes (a) Security- Internal and External with special focus on terrorism and insurgency activities; (b) Creating jobs for youths: special focus on skill development for school dropouts; (c) Implementation of flagship programmes of the Government like Swachh Bharat Abhiyan, Housing for all by 2022 and Smart Cities; (d) Improving quality of Higher Education; (e) Giving impetus to “Make in India” programme and employability and (f) Act East Policy and development of North Eastern Region.